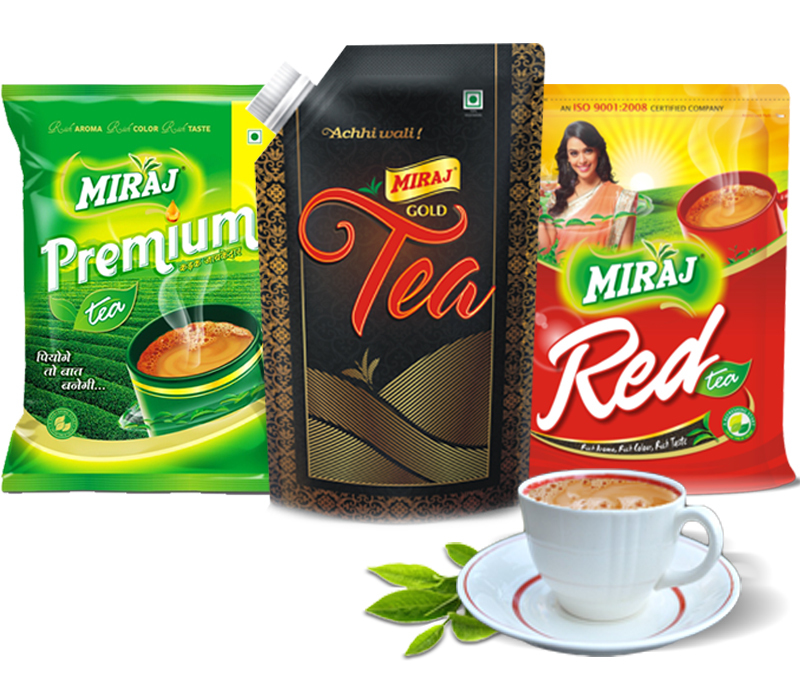 Miraj Group started FMCG division in 2003 with Tea Manufacturing. Our brand name is "Miraj Red Tea" in Tea division. Miraj Red Tea began its journey more than 10 years ago, when the packaged tea market was dominated by one large player with over 70% market share. While most saw entering this market as an almost impossible task, Miraj Tea saw an opportunity. 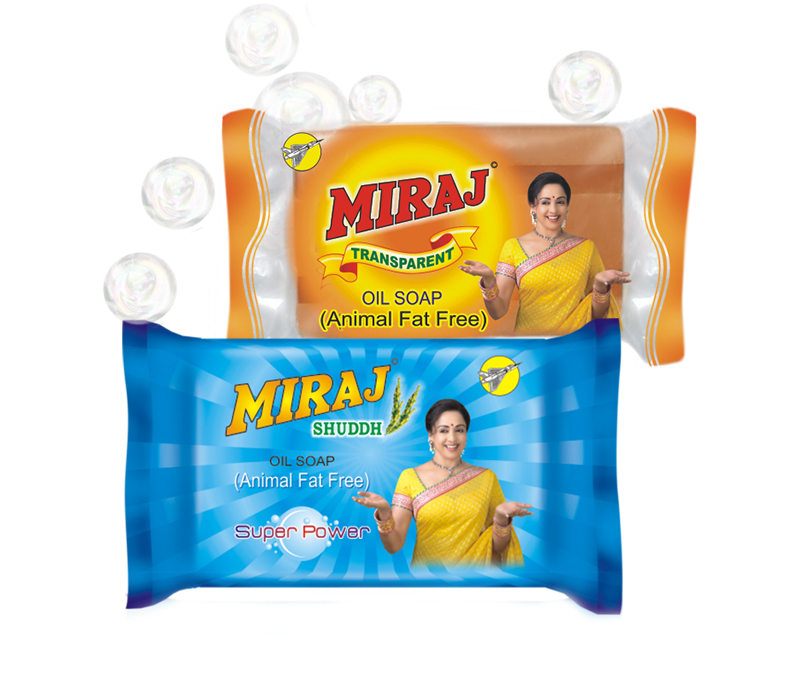 Later in 2004 Miraj started soap division with it's washing soap "Miraj Sudh oil soap". Our animal fat free laundry soaps are more environmental friendly as compared to traditional soaps. In year 2013 Miraj entered into Food Division with Toast Manufacturing. Our brand name is "Miraj Premium Toast" in this division. Miraj Tradecom Pvt. Ltd. is a trustworthy Manufacturer, Supplier and Exporter of a wide range of Namkeen. 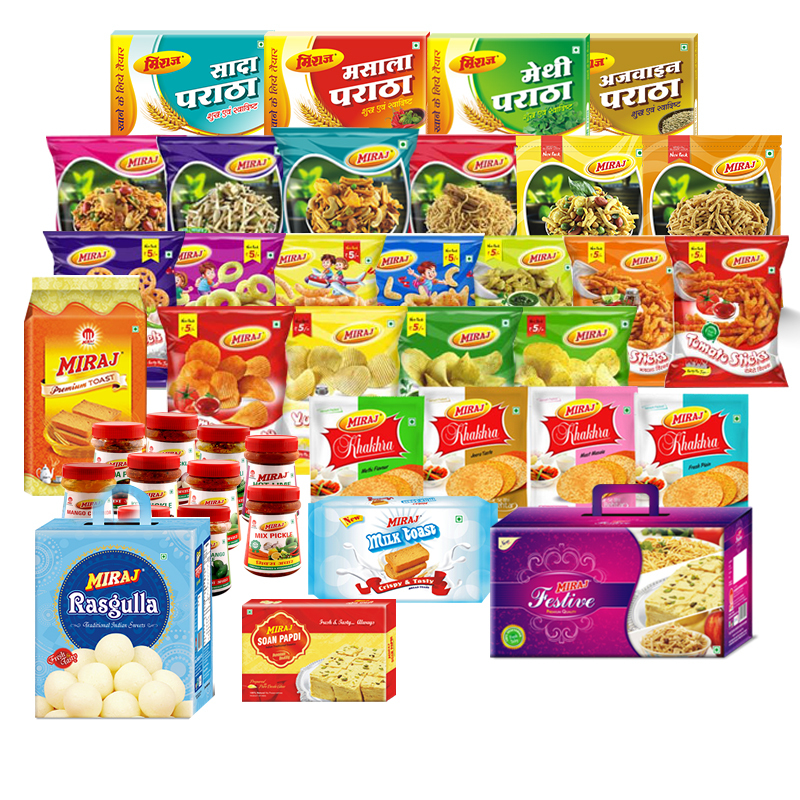 Under this range, we offer Aloo Sev Namkeen, Bhujia Namkeen, Ratlami Sev Namkeen, Navras Mix Namkeen and Vrat Aahar Namkeen. The entire range is prepared using quality ingredients such as dry fruits, salt, spices and others, under hygienic conditions. With appetizing aroma and fulfilling taste, our Namkeen makes a great combo with a hot cup of tea. Namkeen is supplied in airtight and waterproof packaging so that its crunchiness and taste remain intact till it open. Our tea is combination of artful blending & packaging. Its true aroma provides soothing taste & feeling to tea lovers. Our tea is enriched with goodness of nature providing tempting taste and true colors of fine Assam Tea. Today Miraj has its own identity amongst major tea brands in India. Over the years, a long-lasting relationship of love and trust has developed between Miraj Red Tea and its loyal consumers. Leaf from the best tea gardens is selected and the group directors personally taste and evaluate the teas. Fully automatic form, fill and seal machines are used to pack tea in packets made of pre-printed polyester and poly-laminated films. While packaging, efforts are made to preserve the freshness of the tea. Our animal fat free laundry soaps are more environmental friendly as compared to traditional soaps. The superior quality oil cakes are made using the perfect blenders and surfactant ratio to provide a superior binding for greater washing capacity. Our Miraj Shudhh Oil Soap has more foaming capacity so to release tension on the dirty surface of the clothes therefore cleaning agents of the soap enters the surface much faster. This results into faster and more effective cleaning than any other soap. Our team is working hard to fulfill the requirements of our customers by making soaps in different specifications and makes. We offer these soaps in stylish packing and in different quantity packaging. Also Available in : 1kg., 800gm, 200gm ,100gm Pack. Ready to eat paratha, Namkins & Mixture, Milk toasts(Rusk) and Premium toasts(Rusk), Sweets(Soan Papdi, Rasgulla, Festive Pack), Instant Mix, Snacks(Khakhra), Spices and newely added Pickles and Dry Fruits.